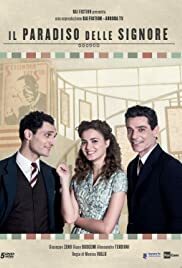 A poor girl from the South of Italy comes to Milan to escape an unfaithful fiancé and finds a job as a salesperson for a department store. She soon gets noticed by the boss. When a three-and-a-half-year-old boy tells a school psychologist that his mother is not his real mommy, he seeks the help of a police captain who's reluctant to take on the case as she's already occupied by a major robbery investigation. A well done piece that is just plain fun to watch. While the plot may get a bit heavy handed the balance with the performances and the photography is enjoyable.